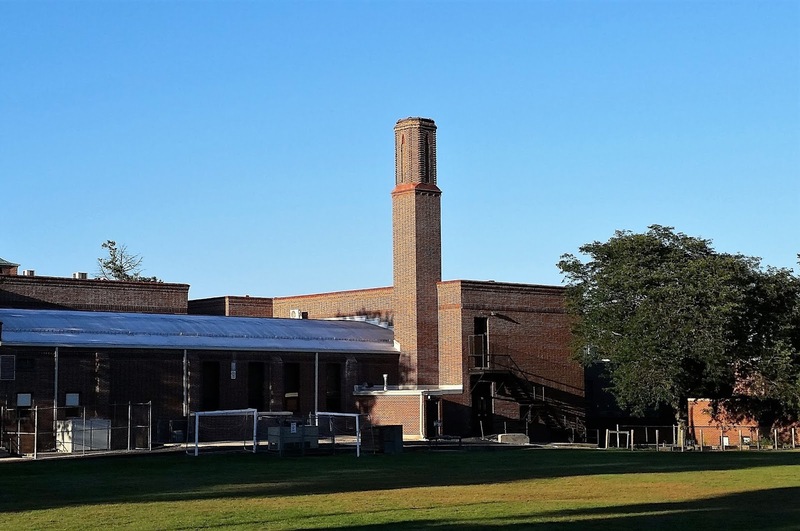 Chimney Swifts at Abbott Middle School in Elgin. In September, I traveled to Portland, Ore., for a nephew’s wedding. Weeks before the trip—okay, months—I began studying up on the birds I might be able to see. 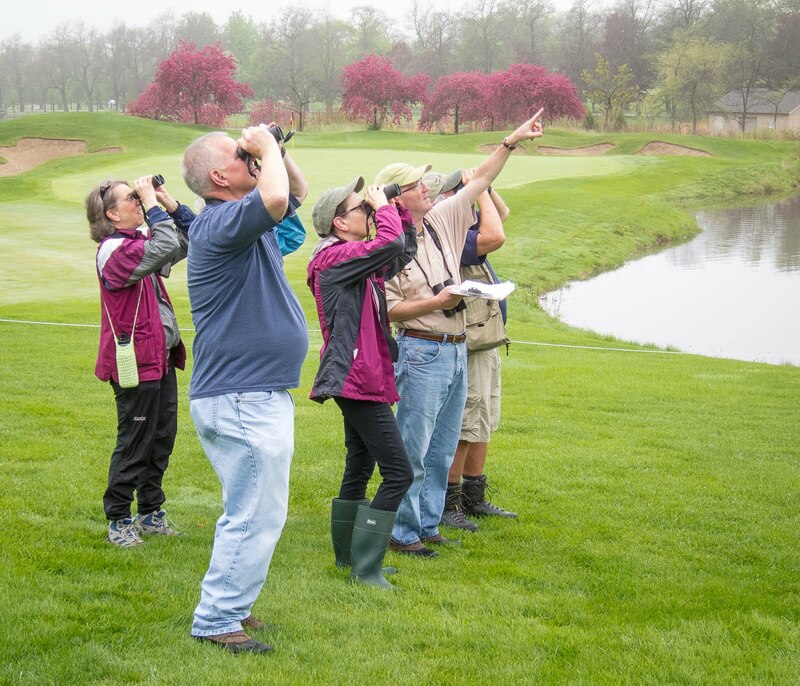 It’s what birders do. I was especially interested in lifers—birds I’d never seen before. A prime candidate, I quickly learned, was Vaux’s swift. 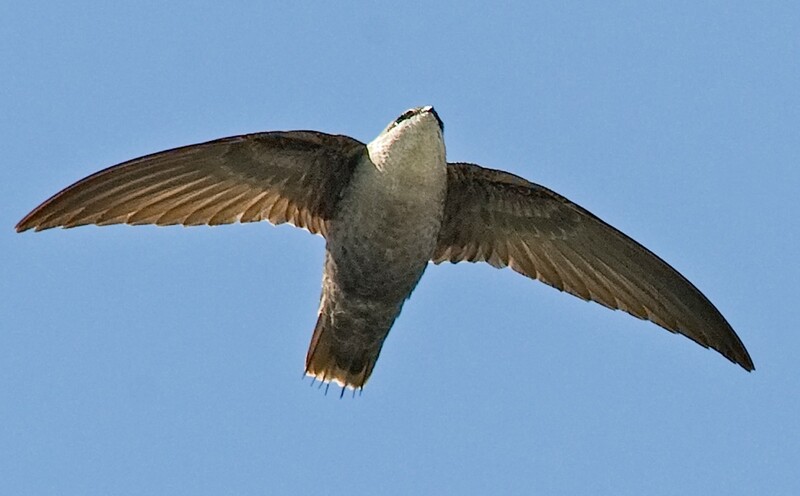 It’s the western version of our chimney swift, and common in the skies over cities and towns. I’d be in Portland at the perfect time, too, when large numbers of Vaux’s swifts gather before starting their fall migration. This was a bird I could expect to see. 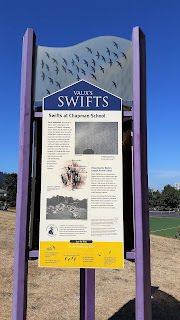 The Audubon Society of Portland website put me in a fever when I found the page about Chapman Elementary School, site of a nightly Swift Watch throughout September. 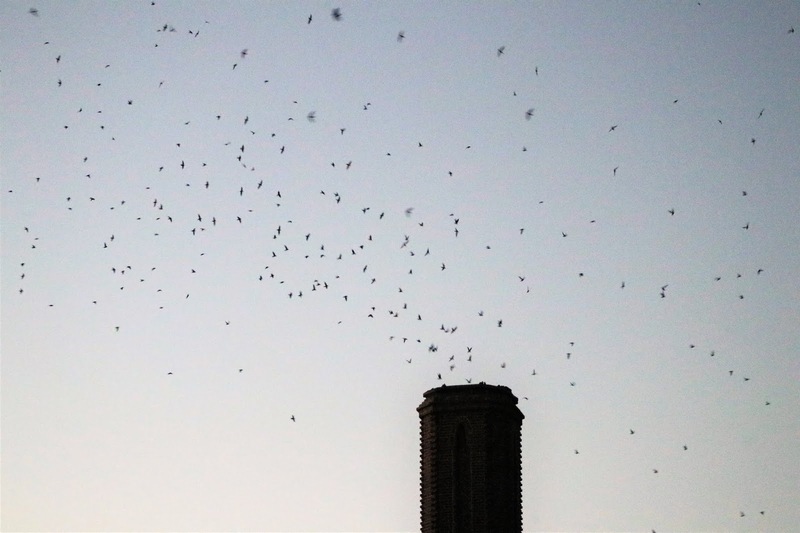 Since 1982, Vaux’s swifts have used the school’s old furnace chimney as a communal overnight roost. On some evenings, 40,000 birds pour into the stack, creating a spectacle. What’s a birdman to do? Look up, of course. I see chimney swifts in broad daylight quite often around DuPage County. In Portland, I figured it would be the same with Vaux’s swifts. Except it wasn’t. watching hill in Portland, Ore.
Getting to the school was a workout—nearly three miles from city center and mostly uphill. It was noon, sunny and unseasonably warm. A western scrub jay welcomed me, but no swifts. A fence banner promoted the upcoming Chapman Swift Family Fun Run. On the grassy hill where the swift watchers gather, a three-sided kiosk dispensed information about Vaux’s swift and the importance of Chapman School, one of the largest known roosting sites for the species. At the wedding Saturday night, it occurred to me that hope wasn’t lost. All those swifts needed to exit the chimney at some point. 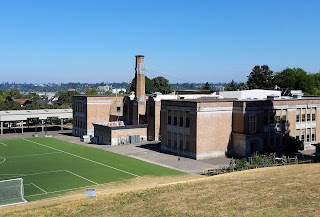 What if I returned to Chapman School on Sunday morning? And that’s what I did, waking early and pedaling back up the hill, in the dark. Calm silence greeted my arrival at the school as the skies began to brighten. Maybe I was too late. At 6:20 I spotted a single swift fluttering near the top of the smokestack. My Vaux’s lifer! Seven minutes later, the chimney erupted with departing birds, chittering loudly and ready for another day of feeding on the wing. In 10 minutes every bird was out. Abbott Middle School in Elgin, Ill.
Six days later I got another chance. This time the party was in Elgin, outside Abbott Middle School, site of Kane County Audubon’s (KCA) fourth annual Chimney Swift Sit. The scene at Abbott was just how I imagined the one at Chapman, but on a smaller scale. We were watching chimney swifts, not Vaux’s, but you’d never know the difference. 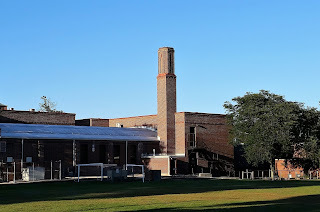 Just after 7 p.m. the volume of swifts grew rapidly as they swirled clockwise around the school’s giant stack. About 15 minutes passed before a few birds started to drop in, first a trickle and then a steady flow. Like a vacuum, the chimney seemed to pull in the swifts until the air was clear and quiet. 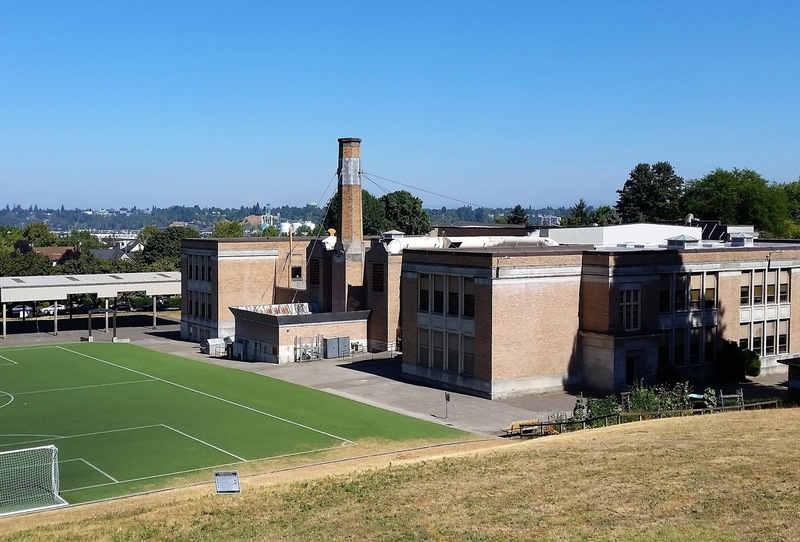 About 2,000 swifts entered the Abbott School chimney. We know this because Marion Miller counted them—a challenging task! Marion maintains the Facebook page “Chimney Swifts Over the Fox Valley,” and with KCA works on chimney swift conservation. The species is declining, primarily due to habitat loss. Large, uncapped chimneys are increasingly scarce. Residents of the Abbott School neighborhood were curious. Who were these people with binoculars and folding chairs, watching a school on a Saturday night? Marion and others happily explained, even passing out a KCA brochure about chimney swifts and how to help them. The accidental onlookers went to bed wise to an amazing slice of nature just outside their front doors. Maybe some will pull up a chair next year. The swifts of Portland and Elgin greatly enriched my 2018 birding year. Vaux’s swift and chimney swift—two crowd-pleasing aerialists, 2,000 miles apart, performing nights (and mornings!) in September, for those who care to watch.